Recently I've been exploring Cold War air combat and I'm having trouble coming to any satisfactory conclusions for the early Cold War period. Keep to mostly historical options and loadouts. I love the CF-105 Arrow, F5D Skylancer, and F11F-1F Super Tiger as much as anyone, but that's not really what I'm looking at. I'm sticking to in-service types and largely in-service configurations. 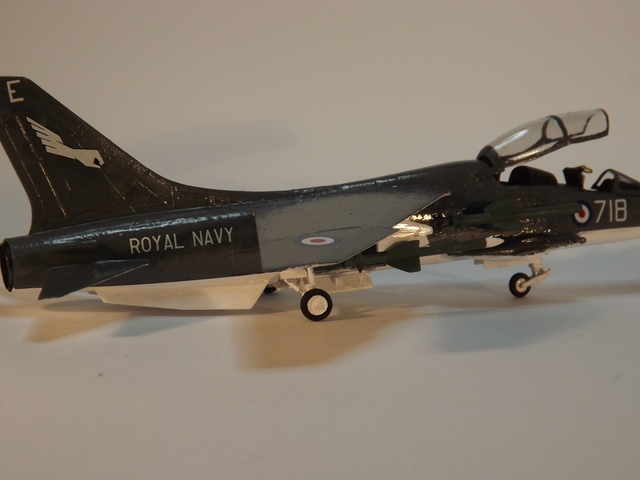 No F-4B Phantom with an internal gun, thin-wing Javelin, or Hawker Hunter with refueling probe, for instance. Think of these options as complete weapon systems or weapon packages. No specific threat environment, East/West alignment, or terrain to consider. Aerial refueling is a plus, but in no way a requirement. More range is a plus, but no specific figure to consider. These are not to be operated from a carrier, so that is a superfluous feature. Ground attack capability is a plus, but not the focus here. Fleet size would be around 100 aircraft. Why 1956-1968? Before the advent of the AIM-9B in 1956, it's a pretty simple evaluation of maneuverability, gun armament, and speed. After 1968, you have the F-4E Phantom, which gives you all the missiles you could want without sacrificing an internal gun, speed, or range. It had competition, but it really was a game-changer. Air defense/superiority/dominance is really the only thing being evaluated here. Possible threats can be anything from B-47s/Tu-16s to F-4Bs/MiG-21s (and everything in between). Consider how your proposed pick would fare in aerial combat of that era. 1956 Suez, 1958 Taiwan Strait, 1964 Vietnam, 1965 Indo-Pakistan, 1967 Six-Day War, etc. Convair F-102 Delta Dagger - more of interceptor? 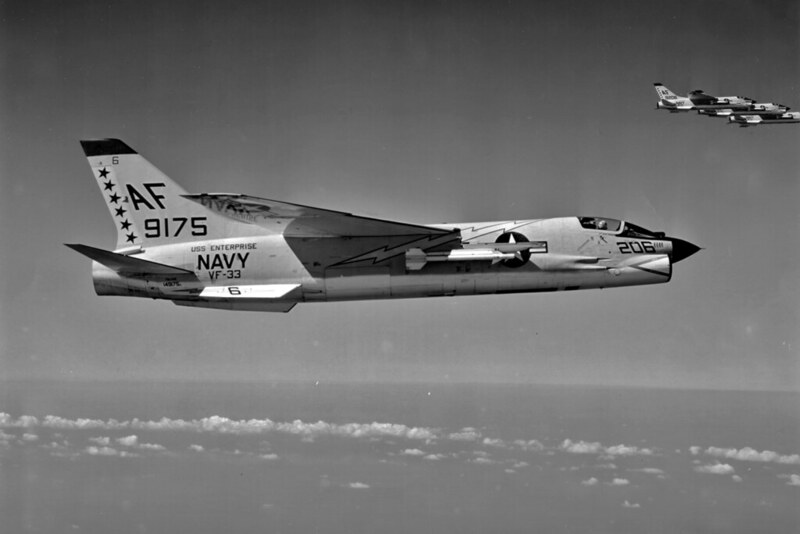 Convair F-106 Delta Dart - more of interceptor? 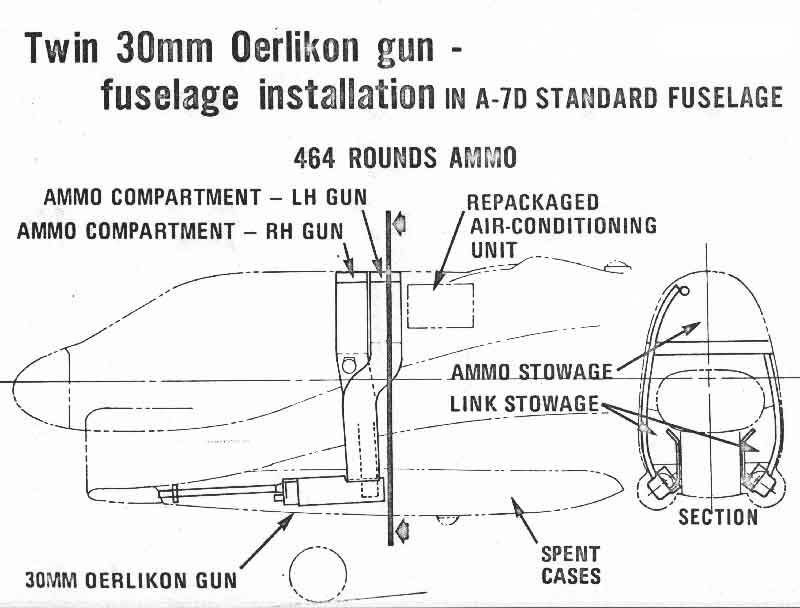 F-4 Phantom II - gun pod possible? That matches my shortlist pretty well. I'm personally not putting much emphasis in the multi-role aspect of these aircraft. Once you clear the skies, you can bring in something that's better-suited for the role like a Hunter, Skyhawk, or even Skyraider. There's no prize for second-place in air dominance. As for your list, the pre-F-4E Phantom family leaves me leery since that gun pod was not a great solution and I don't trust missiles of that era enough to rely on them. Otherwise, that would be my choice, yes. The same holds true for the F-102 and F-106 (even though I love the F-106). Similarly, the F-104A didn't get its M61 Vulcan sorted out until 1964, by which point you may as well wait until '68 with the F-4E. I'm also not convinced it's much better than alternatives like the Draken, MiG-21, or Lightning. The MiG-21 is purported to have spanked it in 1971, but claims in that conflict by either side require extensive investigation. MiG-21 is great and very respectable, but I don't think was really better than the Mirage III, for instance, so I don't see a lot of reason to choose it over some of the Western options. I think the Mirage III is the safe—albeit boring—option. You can't really go wrong and it's got a proven service record with users across the globe all the way up to today. Why not pick it? For me, a few reasons. First of all, it really wasn't super-maneuverable. 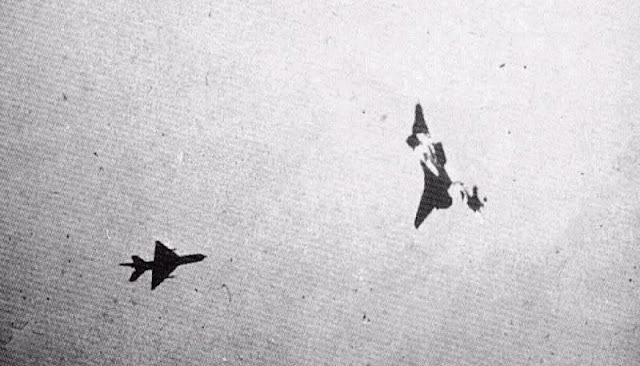 Much of the success achieved by the IAF in 1967 was by exploiting the differences in the Mirage III's handling compared to the MiG-21 rather than some inherent overall superiority. The delta wing meant that it bled speed quickly and it wasn't very agile at low speeds, either. And nearly all combat would be subsonic. Furthermore, the Mirage III was—to my knowledge—limited to just two AIM-9Bs compared to some of its contemporaries that could carry four of the missiles. I've read pretty negative things about that Cyrano radar and the R.530 (like almost all fighter radars and BVRAAMs of that era). Finally, the Atar engine was very thirsty with afterburner and you needed to carry tanks all the time, which further limits speed and handling. So, what's that leave? Well, for me there are two main options. The obvious one is the Saab J 35 Draken. Arguably, I think it does everything the Mirage III does, but better. Better radar, better low speed handling, better payload (four Sidewinders vs. two), better range, etc. The main reason it wasn't more widely adopted was politics, from what I can determine. The less obvious option (it didn't even make Greg's list) is actually the more proven and conservative option. That's the Vought F8U Crusader. The first variants entered service in 1957 and were equipped with the Sidewinder from the outset. 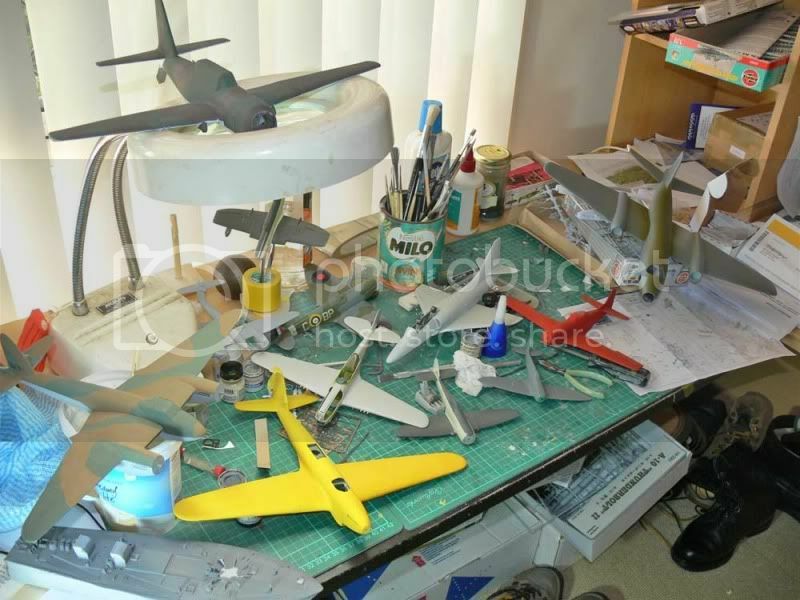 It went through a steady improvement process until you got to the definitive F-8E. So, how is it worse than some of the other entrants? Well, no real BVR option (though I don't consider that to be much of an issue given the state of the pre-Sparrow BVRAAMs), poorer performance radar than things like the Draken or F-4 Phantom, pilot complaints about the four Sidewinder loadout making the F8U "sluggish", and those 20mm Colts that had feed mechanisms prone to jamming. In what ways was it better? Well, it was the most proven entrant on this list after the icons like the Mirage III, MiG-21, and F-4 Phantom. It was almost certainly the most maneuverable supersonic fighter of that era, with anyone who went up against admitting that it didn't suffer at low speeds the way most of its contemporaries did. In short, it could outrun it any subsonic fighters it encountered and control the fight, but outmaneuver any supersonic fighters that gave up any energy in an engagement. It had internal guns (not the equal of the 30mm DEFA or ADEN, but better than nothing) and claimed about a quarter of its kills over Vietnam with them. It was also considered by the USN to be quite long-legged compared to most of its contemporaries, outlasting most of its opponents in DACT. This was all without external tanks and with a retractable refueling probe to boot. 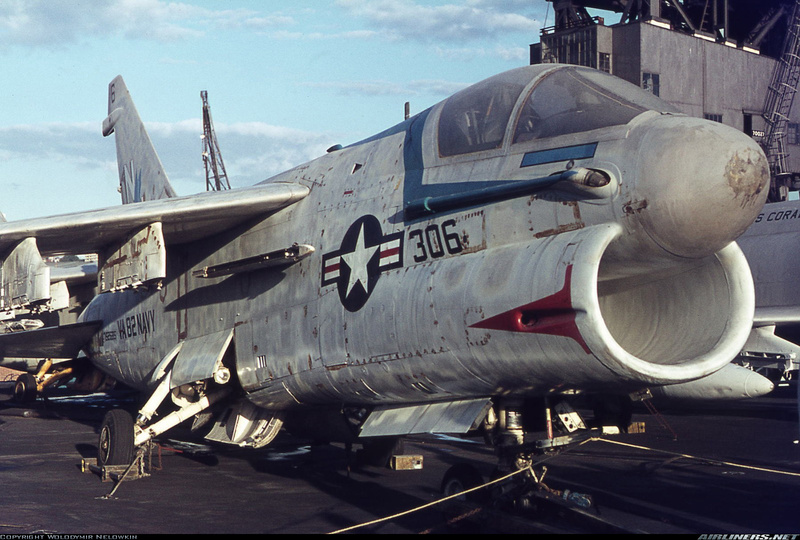 It could carry four Sidewinders and often operated in that configuration over Vietnam. It wasn't unbeatable by any means, but it was certainly formidable. So, is there something I'm completely forgetting or discounting unfairly? Draken, Crusader, or other? Personally, those are the two I'm most torn over. F-6A (F4D) Skyray[ seems to have been overlooked or ignored. I've read that the EE Lightning was very maneuverable, besting most western fighters of the time and only got beaten when the F-16 came into service. Read a report where the RAF tested it against a Spitfire, it was to test it's suitability's against Indonesian P-51's during that confrontation. F-6A (F4D) Skyray seems to have been overlooked or ignored. That's fair to assume, since the "Ford" often gets overlooked, but that's not the case here. I love the Skyray, and I think it's the prettiest fighter of the Cold War. It looks like something from a sci-fi film. My grandpa server on the USS Ranger during the late '50s and early '60s and I remember looking through his cruise books with him and thinking that it was the most beautiful plane in any of the pictures by a very wide margin. It's gorgeous, and one of my favorite fighters of all time. It has four 20mm cannons, could carry four Sidewinders, had a decent range, good speed, incredible rate of climb, and legendary maneuverability. I absolutely love it. All that having been said, it was not without its faults. While many of its pilots loved it, many others considered it to be a very, very tricky plane to fly in an era of persnickety jets. A few were kept on hand long after it had been retired from service purely to show test pilots just what it was like to fly an inherently unstable aircraft. Also, compared to all the supersonic aircraft on this list, the F4D could be left behind and evaded, being limited to subsonic level flight. In a different world, had the Navy selected the F5D Skylancer instead of the F8U Crusader, I wouldn't be posing the question. That would be my choice until that advent of the F-4E...if not later. But, that's not really the scenario I'm working with here. I'm asking about "best" versus "favorite". The F4D may be my "favorite", but my judgement is not clouded enough that I consider it to the best, despite how sad it makes me to admit it. All well and good if the enemy comes to you. Otherwise, maneuverability is moot if you constantly have to break-off because of nil fuel. I have to wonder how the handling and performance of the Crusader would have been affected if the J57 had been replaced by the J79 at some point? The J79 is smaller and lighter for the same performance, but also runs hotter and might require some material changes in the engine bay. It would be fascinating to see some DACT fights between Crusaders and Drakens. The Mirage is IMO the standout machine in the list. Despite what you claim, Logan, it was a very manoeuvrable aircraft as the RAAF showed whenever they flew against the US's F-5 Aggressors. They invariably bested them by a wide margin. It may have done that, despite all the limitations you list. BTW, the R.530 had interchangeable homing heads - IR and Semi-Active Radar homing. The missile itself had problems, as you note but with an IR head most of the criticisms directed at its SARH version are eliminated. The Cyrano radar was typical of radar of the period - the late 1950s-early 1960s. When it worked, it worked well, when it didn't, it was a dog. The later models of the Lightning overcame most of the criticisms about it's range, particularly when carrying the two big over-wing tanks. What it lacked was a BVR missile - something you admit isn't a big bad thing. It's two missiles were pretty unique - Firestreak because it was designed, back to front. Redtop because it provided "improved" IR detection, being able to be fired outside of the rear envelope of it's target. Both were complex and relatively slow to warm up and only had a limited time frame in which they were cold enough to sense a hot target. What it really lacked was enough range without the tanks. I'd replace the missiles with an optional two Sidewinders on each side. It was the only fighter to successfully intercept the SR-71 on several occasions. The F8 was a bit of a dog in many ways, particularly in it's underpowered early versions. It did have a BVR missile - the AIM-9C but it was a bit of a dog and not widely used. 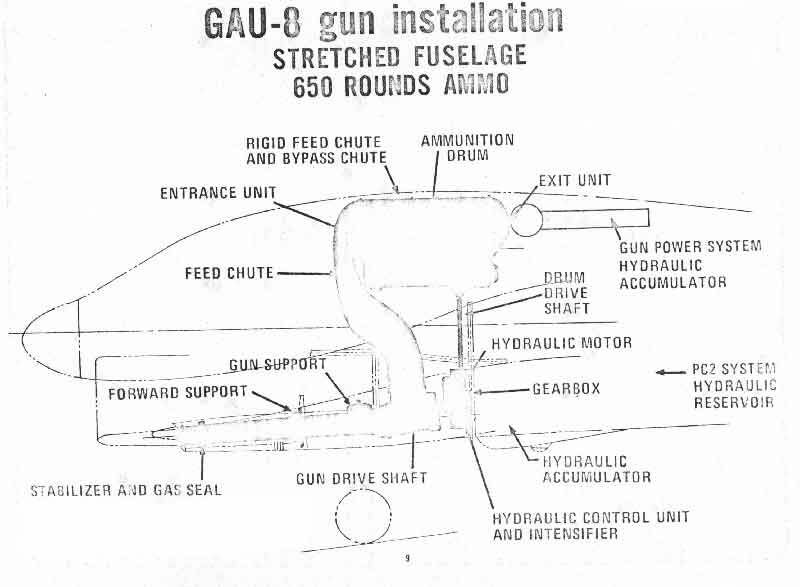 The gun feed was a real problem, causing frequent stoppages at the worst moments. 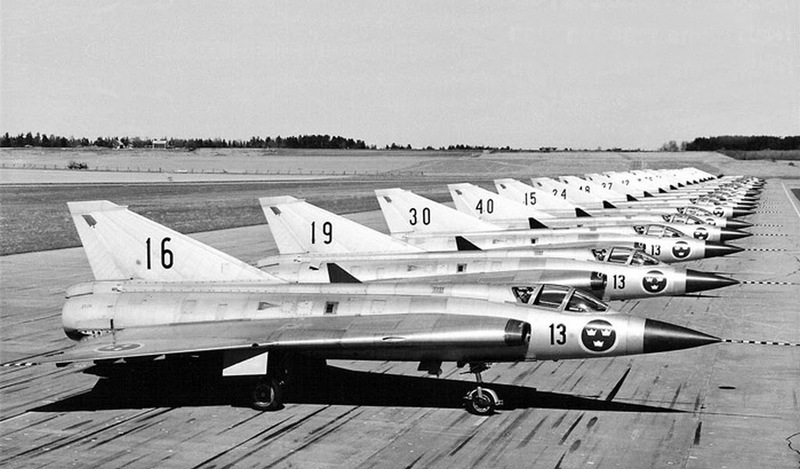 The Draken was politically held over by the Swedish Government(s) of the day. It also suffered from initially no radar and then a bad radar until the bugs were worked out (which wasn't uncommon). It was a good all rounder, like the Mirage III. Both of those aircraft however lacked range. I am surprised that you've not included the F-5 in your list. It was cheap, easily available and quite a good fighter. It could carry as many missiles as the others (four) and with some tinkering I don't doubt it could carry more on multiple launchers. It's guns were reliable. What it lacked was a good radar. It's range was also a bit limited without tanks. It was quite a good air-superiority fighter and that was why it excelled in the Aggressor role. OK, now I know the A-4 isn't in the parameters of this discussion but I would like to point out that the RAAF Mirage III pilots were, from what I've been told (no documentary proof, sorry), less than willing to take on the RAN's A-4's in air-to-air combat. For starters, with a centre-line fuel tank, the RAN's A-4's could carry 4 x AIM-9's. Apparently they had a nasty tendency to break the Mirages' missile lock &, when engaging in guns-on dog-fighting, they'd turn inside the Mirages, when they were trying to use their greater speed, & drag them into sub-sonic engagement, where they'd crawl all over them. My point being, the Mirage had/has weaknesses & decent pilots in technically inferior aircraft could exploit them. How about the F-11F / F-11 Tiger as opposed to the Super Tiger? I know it was slower than the other types mentioned (bar the Scooter and Skyray) and lacked a radar but was designed to be fitted with one and could easily have been re-engined with something more powerful as seem with the Super Tiger. I'm hearing what you are say 're the Mirage III Logan, but would the Dassault Avon Mirage IIIO, as built and test, but not taken up quantify within your selection criteria? Or what about the lighter de-carrierized Vought (or was it LTV) F-8 Crusader - the V-1000 quantify within your selection criteria? Oh, hang on, wasn't the V-1000 about 1970? Or am I off target? The F-5 might lack top speed, compared with some other contenders. On the other hand, its size made it hard to detect, so they could more often take the opponent by surprise. Agility was good too. 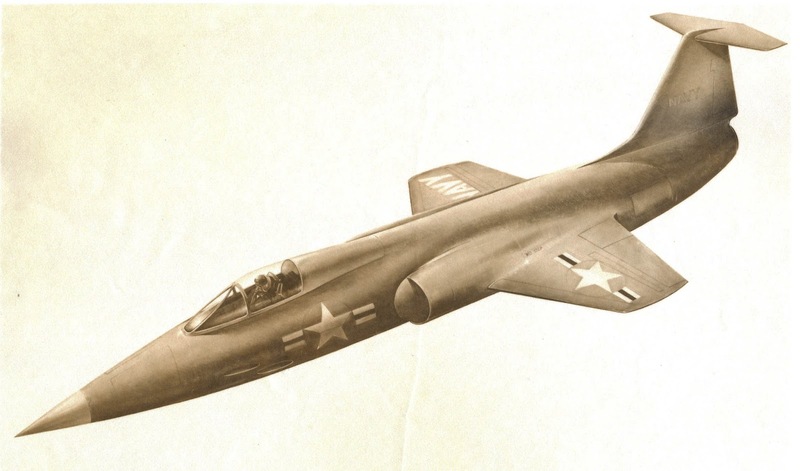 Given said country already has a fighter in service in the class of a F-86/MiG-15, one could probably get by with a new fighter entering service in the early - mid 1960s. If more capability was deemed necessary earlier, then maybe add missiles to the existing as an interim upgrade. Either way, this allows one to consider one of the 2nd gen supersonic platforms (treating MiG-19/F-100 as first gen supersonic here). This largely puts all the listed contenders on the same basic level in terms of max aerodynamic performance. It also gives a reason to possibly eliminate the F-8. Next, I looked at the range since having more endurance would be of benefit both in terms of endurance but also in that it does allow more options if you later want to take the fight to the enemy.. This eliminated such contenders as EE. Lightning and MiG-21 since these are more of point defence interceptors at this stage and even if they aren't, the listed ones supposedly have more range. Concurrent to this, I also looked at weapons load out. Again, here I believe all the listed have a slight advantage in terms of quantity of weapons able to be carried. That said, in most cases the quality of the missiles in this period often left a lot to be desired, even systems such as the AIM-9. In this regard, the Draken and the Mirage benefit from already having cannon built in - twin 30mm cannon in both cases. Yes, both the F-4 and the F-106 received guns later on in their service but at this stage they didn't have them. 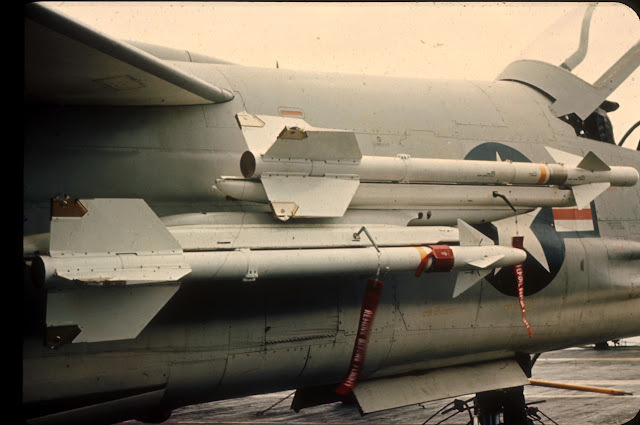 Similarly, whilst the F-4 would have the maximum missile compliment and carry the most BVR missiles with its AIM-7s, unless the RoE allowed these weren't going to be of much use. Even if RoE wasn't a factor, missile performance as well as likely engagement ranges (which factor in coming velocities of both forces, radar performance and missile range amongst other things) would probably see more than 1 or 2 BVR shots unlikely anyway. Most likely there might be a chance or a single shot (with understanding that it may not result in a kill but would potentially turn the opposing force onto the defensive) before a merge and more traditional dogfight with WVR weapons. In this regard I don't believe that either the Draken or Mirage are really hindered by having less BVR missiles. 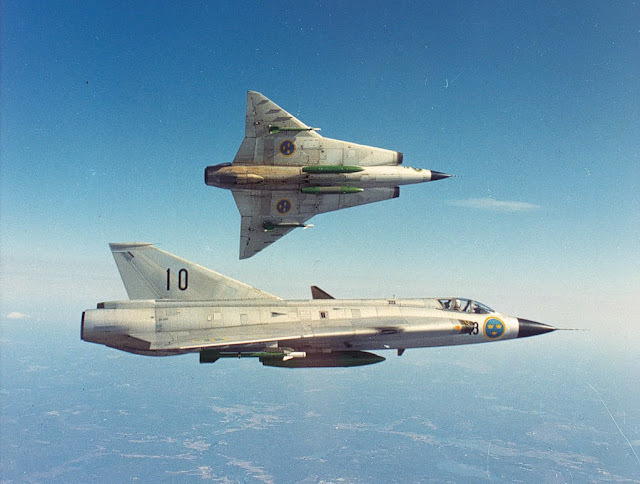 Both Draken and Mirage also have the advantage of having a reasonable (for the time) ground attack capability with bombs and/or unguided rockets. 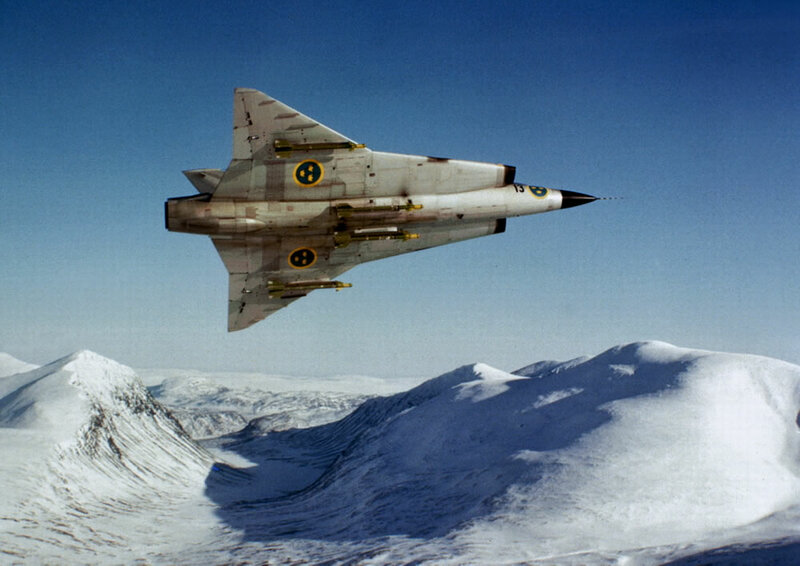 Finally, if said nation was also able to introduce something akin to the Swedish STRIL 60 system, possibly as part of a package deal from the Swedes, than that might give a slight advantage to the Draken. That said though, aspects such as cost and potential logistic support etc may come into play in the final selection. Interestingly enough, I also believe cost would be something that rule the F-4 out in comparison for most countries - both the up front and ongoing support costs for the Draken/Mirage would be better than the F-4. Overall, if I had to choose, I would possibly go for a Saab Draken fleet based upon the J-35D with more powerful Rolls-Royce Avon 300 (RM6C) and slightly more capable PS-03 radar. In addition to the internal 30mm cannon I would plan on using AIM-9 missiles and possibly either an AIM-9C SARH variant or something similar to give a SARH BVR weapon. Ideally, I would also try to integrate such a platform with something such as the STRIL 60 system to give the best possible use of the weapons system in that timeframe. Would that have been a FJ-4 fuselage with F-86K wings or the other way around Evan. I had a plan to put the FJ-4 wings on an F-86D/K for a project something like this below. 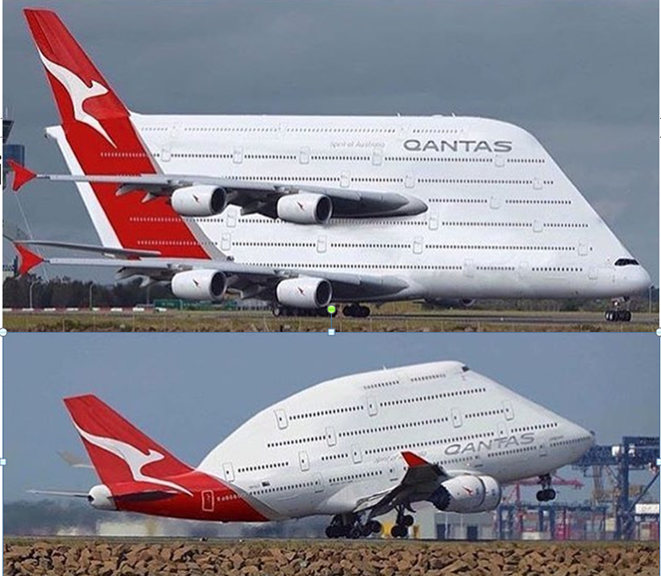 I was going to change the wings from what you can see here. Probably a modified F-86K nose mated to an FJ-4 fuselage and wings. The intake would need to be modified to match the airflow of the J65 instead of the airflow required by the J47. The nose probably would have been positioned so as to give adequate over-the-nose visibility for carrier landings, too. Actually, taking my last post a little further, one could conceivably have the Saab J-35F improved version be selected under this scenario. In the real world, this first flew flight in Dec 1961 and entered operational service with the Flygvapnet in Jun 1964. 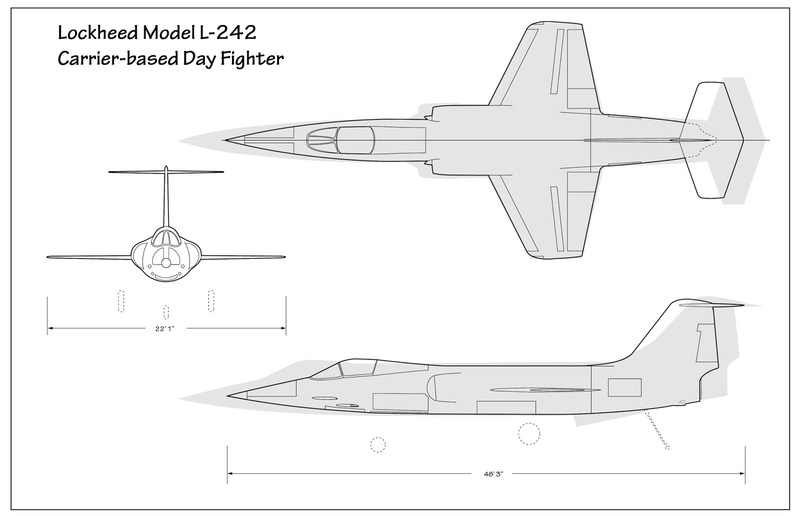 Therefore, maybe have an interim use of J-35Ds followed by the definitive J-35F. This improved version still had the cannon (albeit down to one) and had improved electronics etc.though one could possibly return the second cannon just as Denmark did for their real world Saab 35XD variants which were based upon the J-35F. On the missile side, one might as well go with a mix of AIM-9 and even GAR-11A/Rb.27 in the SARH/BVR role just as the Swedes did. So Logan, can I ask what conclusion you end up with in regards to the Best Air Superiority Fighter, 1956-1968? Very keen to know your conclusion!! Hey there, M.A.D, I don't know that I'd say I came to a "conclusion" per se. That's partially why I never posted a follow-up. 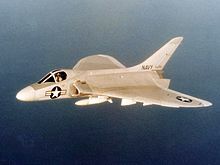 I think the cheapest, deadliest, no fuss, no muss option is the F8U Crusader. The guns weren't as good as the 30mm DEFAs of its competitors, but the Sidewinder is king during this period and it gets it out of the box on day 1. If you don't care about what happens after the debut of the F-4E in 1968, then it's probably what I'd go with. Also, while I obviously have no empirical evidence to support this, months of reading along these lines lead me to believe that it was probably the most maneuverable of any of the supersonic fighters on this list. Also, it has great endurance for its size and an air to air refueling probe, something most contemporaries lacked, certainly in this timeframe (again, we're talking about out-of-the-box configurations). The most proven option has got to be the Mirage III. This is the one you pick if you don't want to hear any criticism. It won the skies in '67 and continues to give a good account of itself in Pakistani service today. The guns are great and it eventually can pack a pair of Sidewinders, too. I don't think its limitations are properly appreciated, however. The R.530 in any of its forms is totally useless and should be left in the box it came in. The Atar engine was tough, but guzzled gas horribly when afterburner was on, so range could be limited in practical configurations. Sidewinder integration came later (with the Swiss and Australians, I believe), the Shafrir-1 was awful, and no matter what you're only packing two. The Mirage III is reliable, effective, and proven. I think the same can be said of the MiG-21 in the same period, though it has its own issues. My secret favorite is the Draken. I love it. I love the looks and the capabilities. I think it may be the best of the three, too. It's just such a wildcard, though. It isn't combat-proven like the others and the early radars had many problems. Still, it can carry 4 Sidewinders with the fewest issues, probably has the best range and endurance, and the highest speed in practical conditions. It should be able to control the fight. It has the good 30mm DEFA cannons, too. It's mostly pluses, but there are a worrying number of question marks, too. I still suspect the F8U could beat it in a knife fight, though, because even a cranked delta is still a delta wing. And, in the early days of radar and AAMs that we're talking about, things are likely to be a knife fight, so once you're in a merge, I'm not convinced it would beat the F8U most of the time. If you told me you had a squadron of F8Us, a squadron of Mirage IIIs, and a squadron of Drakens that we time-traveled to a winner-takes-all fight and I had to bet my life savings on who I thought would be the winner, I'd pick the F8U. As a weapon system (which was the point of this), I trust it the most. So, with all this discussion and the benefit of hindsight, that's the one to go with, right? Well, no. Despite my misgivings about AAMs, I have really come to respect early AIM-9B Sidewinders, despite their serious issues. You can hang the Shafrir-1, the Sparrow III, the R.530, and the whole Falcon family as far as I'm concerned, but the AIM-9B was a game-changer. If you wanted a squadron of the best air superiority fighters from 1956-1968, I think the US Navy has the right answers. Go with the most advanced F8U Crusaders you can get your hands on until the F-4B Phantom makes its debut, then just load it up with as many AIM-9Bs as it can carry and send it out to dominate the skies. I think Kelmola has it right. Do you need guns? Yes. Is it worth giving up a radar, an RIO, a J79, 600 miles of range, 300 mph, and four AAMs to get those guns? Hard to say, but probably not. Yeah nice work Logan , and thanks for your informative and indepth response!! I asked for your conclusion for two reason - firstly Id appriciate your analogy and your conclusion; secondly, this topics findings I saw as important and influential on the Air Superiority Fighter I would include in my own Alternative ADF ORBAT backstory for the given time frame; but then CiTrus90 did/is doing me some amazing profiles of Dassault/GAF Avon Mirage IIIO's which I can't reject, and am looking forward in sharing with everyone!! Now, the F8U has its own issues compared to the Mirage III and Draken. The biggest one, I think, is the ammunition feed problems that the 20mm Colts could encounter, something the Mirage and Draken don't suffer from with their 30mm DEFAs. The second is that it could be theoretically the slowest of the three. Now, the F8U beat the other two into service, so it was faster then, obviously, and some models of the F8U were faster than the Draken until it got the RM6C in 1963-64. I think in practical use, it would be no slower given fuel & afterburner concerns, especially with the Mirage III. 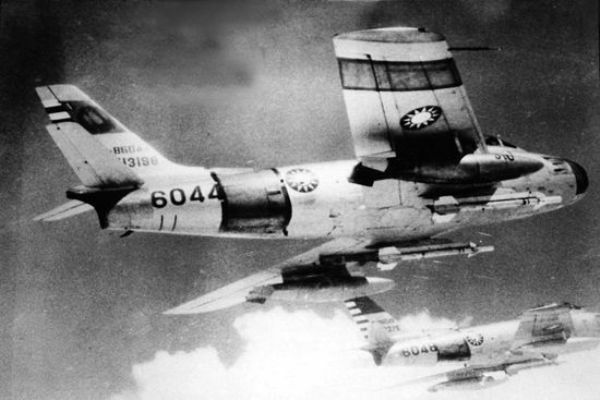 It's important to remember that the F8U only got 4 kills in Vietnam with guns. The rest were with the AIM-9, which shows the importance of that equipment to the weapon system. Speaking of, while the F8U could carry four AIM-9s—something the Mirage could not boast—there were issues with that setup and it was situational. I've not read of any such issues for the Draken. Another potential issue is the radar. The USN never thought much of the F8U's radar, especially not before the F-8E model. Fortunately, I don't think much of the Cyrano radar or the early Draken radars, either. I think by the time the Draken radar is superior and ready for prime time, the USN has moved on from the Crusader and is all-in on the Phantom II, which has a radar better than anything else on the list by a wide margin. Finally, for use in outside scenarios, I think the Crusader has the least growth potential. 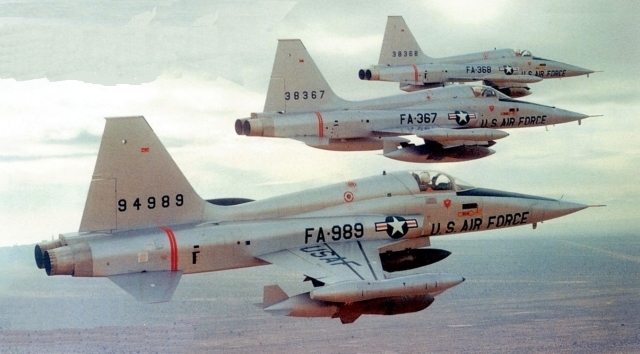 If you still want to be using these into the '80s and '90s, the F-8 will take you there, but you're probably going to wish you had Mirages or Drakens, instead. That conversation returns to the Phantom II, though. If we're talking about the long-term, the F-4B is still the one you want. 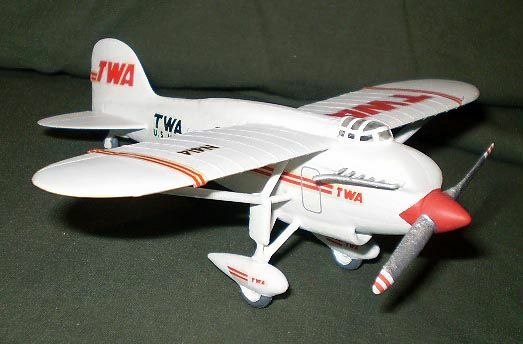 I don't know how it would affect upgrades, but how about replacing the F-8's J57 with the smaller and lighter j79? F-104, F-4 afterburner vanes in back and bit larger intake otta do it. Not even sure you'd need the larger intake. What was stopping the Mirage III from carrying more than two Sidewinders? Nothing technical that I'm aware of. I've often wondered the same thing. I wonder, though, if the Mirage III's short endurance in afterburner made it a moot point not worth attempting. Sidewinders implies ACM. ACM implies afterburner. Afterburner implies bingo fuel. Adding two more AIM-9s worth of drag wouldn't help that situation. Just a guess on my part, though. I think it was about the endurance. If you think about it, the Mirage III was really an interceptor that had a secondary role as a fighter. Its primary intercept would have gone something like: race to enemy (burning fuel like crazy) - upon identification maybe fire a R.530 in the face with the idea being to either bring down a bomber or make the other guys at least go on the defensive - merge and dogfight (using up even more fuel) - maybe get 1 or 2 shots in - bingo fuel lift goes off - hope one can extricate from fur ball - head home and fight another day. That was my thought as well, Greg. Hence my mention in Reply #12 elmayerle regarding the Vought V-1000, powered[/i] by J79-GE-17 turbojet; and because it land-based, add a couple of the under-wing weapons pylons, as originally proposed by Vought-Chance. Actually, according to the Specialty Press book on the F-8, LTV offered the second wing pylons to the US Navy but it was not taken up. Side thought on the F-8E(FN), what if the French had been willing to pay for a bit more French equipment and replaced the 20mm cannons with two DEFA 30mm cannons? I thought of that, too. The Israelis had Douglas do just that with the A-4N (and did it themselves to the A-4H). I can't imagine France couldn't have done so if they'd really tried. It mustn't have been that much of a priority for them. The USN did use pylons on the F-8, just not as commonly as the USMC. Mind, the SLUFs do use the M-61 Vulcan, not the 20mm Colts, so the interior space, etc., may not lend itself to changing over to the Adens. Not sure why you'd want to if you have the Vulcan in place. It's a lot better gun than the 20mm Colt. Actually, Paul, that depends on the A-7. The A-7A, A-7B, and converted A-7P all used the old twin Colts, so I see no reason they wouldn't be entirely suitable for ADENs. 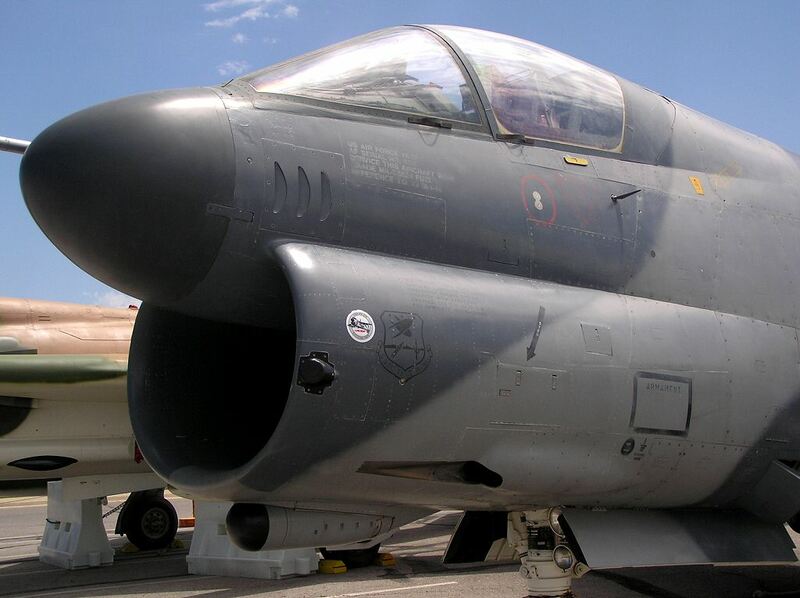 They were considering fitting the SLUF with the BRRRRRRTTTT? Though in a pinch, the Oerlikon KCA will do (uses the same catridge, only with different priming). The Vulcan is not as fast reacting, nor is it as accurate and finally, it isn't as hard hitting as the ADEN/DEFA guns. The Vulcan has to be "spun up" before it can fire, whereas the revolver cannons are ready to fire as soon as they loaded and cocked. 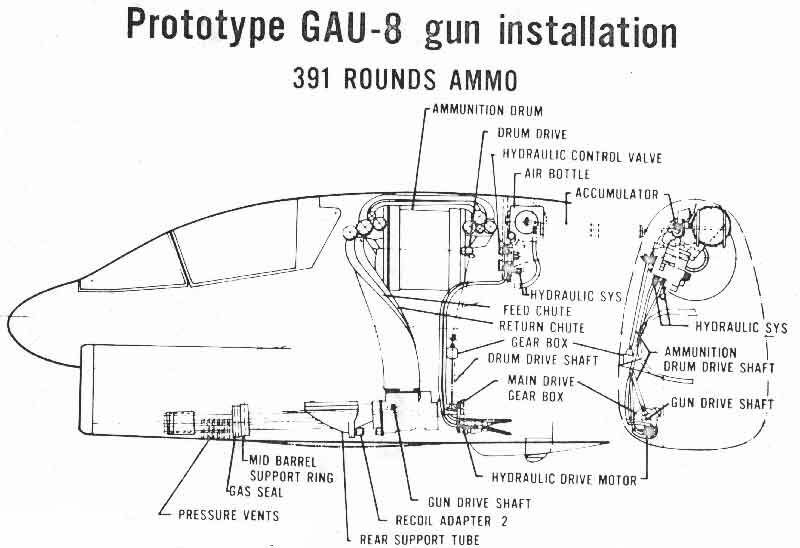 I have to laugh at the fan-boy slavish praise of the GAU-8. Yes, it's a hard hitting gun but not as hard hitting or as accurate as either the revolver cannons or the Oelikon all of which were trialed against it but rejected because of "not invented here". Re-checked the book I cited, the LTV proposal with two pylons per wing was the V-458 and a three-view makes the back endpaper of the book. 'Twould be an interesting modeling subject. The Vulcan has to be "spun up" before it can fire, whereas the revolver cannons are ready to fire as soon as they loaded and cocked. Actually, this raises another question. Was the F-104 ever armed with anything other than a Vulcan internally? 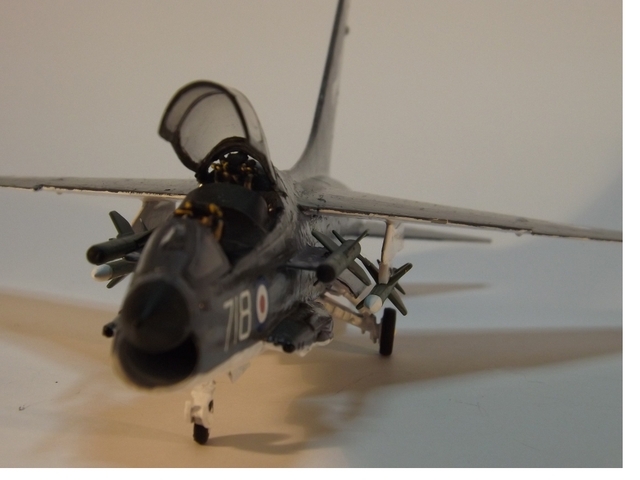 And the old ADEN / DEFA 30mm is pretty sad compared to more modern 30mm offering and even the 25mm NATO, which was meant to be offered in a rechambered ADEN on the Sea Harrier FRS 2 (F?A-2) and GR5/7/9. The Tiger helicopter uses the old ADEN 30mm case and it is noticeable smaller than the 25mm used by the Army and Navy. Was the F-104 ever armed with anything other than a Vulcan internally? Interesting question. None that I am aware of though I wouldn't be surprised if there was something at some point. This had 4× 20 mm Colt Mk 12 cannons similar to the Vought Crusader. A naval Starfighter derivative with its totally not ludicrous take-off and landing speed, negligible operating radius, and (when the proposal was made) a downward-firing ejection seat? Yeah, I'm totally surprised why the Navy didn't pick that one. One could easily see a F-104G being fitted with comparable 30mm ADENs or DEFAs. Re-checked the book I cited, the LTV proposal with two pylons per wing was the V-458 and a three-view makes the back endpaper of the book. Specialty Press book on the F-8; a very good read. Yep, got it already - was just checking in case it was another.